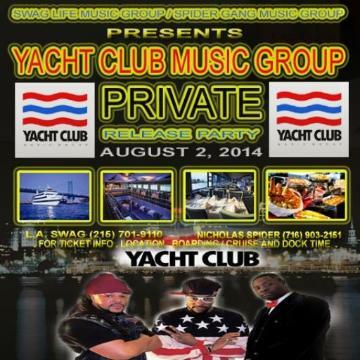 The Official release party for the Yacht Club Music Group's 2nd compilation album. The event will be hosted on a 100 foot, 3 deck yacht. We will be entertaining with live performances as well as a laundry list of celebrity guest. This will be the biggest party of the summer.